Ronny Deila's long goodbye as Celtic manager began with an unimpressive 1-1 draw against Ross County at a disgruntled Parkhead. The Norwegian announced on Wednesday that he would be leaving at the end of the season and it will surely be after securing his second successive Ladbrokes Premiership title but this was painful watching for the Hoops fans. 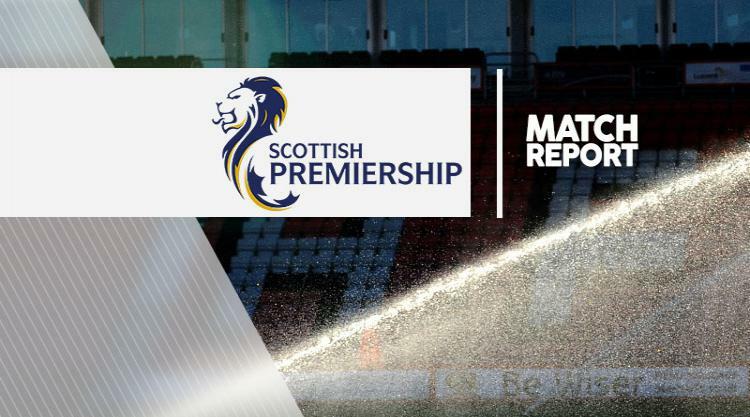 Striker Leigh Griffiths fired in his 38th of the season midway through the first half but Staggies midfielder Stewart Murdoch levelled in the 64th minute with a swerving shot for a deserved point. Celtic moved nine points ahead of Aberdeen with four games remaining and can clinch the title next weekend but these are difficult days for the champions. Deila was heavily criticised after last Sunday's William Hill Scottish Cup semi-final defeat to Old Firm rivals Rangers in a penalty shoot-out but the fans were in a more benevolent mood towards him than they might have been had had he not confirmed his imminent departure. However, several banners revealing discontent at the Celtic board and the players were held up before kick-off and the match was played to the soundtrack of low-key dissatisfaction. The former Stromsgodset boss made three changes from Hampden with defender Erik Sviatchenko, midfielder Tom Rogic and striker Colin Kazim-Richards coming in at the expense of Dedryck Boyata, Stefan Johansen, and Gary Mackay-Steven, only the latter starting on the bench. The sixth-placed Staggies were much-changed due to injury and suspension with Chris Robertson, Ian McShane, Liam Boyce, Jonathan Franks and Jackson Irvine coming in. There was little of note at either end until the 23rd minute when Griffiths took a pass from Kazim-Richards outside the box and drove the ball high past helpless County keeper Scott Fox. The goal brought some much-needed life to the game and Celtic should have doubled their lead when Rogic got on the end of a Patrick Roberts cross but he volleyed over the bar from six yards, before Fox saved a long-range drive from Celtic midfielder Nir Bitton. The visitors had shown little going forward but just before the break McShane tested Craig Gordon with a long-range drive which was comfortably dealt with by the Hoops keeper, who made a point-blank save from the unmarked Boyce's header, following Franks' cross. It was from Franks' cross five minutes after the restart that the ball was flicked on by Boyce to Michael Gardyne at the back post but he missed the target from just a few yards out. Staggies forward Alex Schalk had a chance on the break just before the hour mark but - although he sidestepped backtracking Hoops defender Charlie Mulgrew - he whipped his shot high over the bar. Fox made saves from Griffiths and Roberts but County eventually got level when Murdoch picked up a headed clearance from Kazim-Richards following a corner and from 25 yards returned the ball high past Gordon. The home side found it difficult to respond. Kazim-Richards missed the target from 10 yards before he was replaced by Kris Commons to the biggest cheer of the afternoon. Before that substitution Schalk fizzed a long-distance effort past the post, with the game petering out with the final whistle bringing boos from the frustrated home supporters.